Novi, MI (March 28, 2017) - Chameleon Power, the leading global provider of visualization software technologies and services, has experienced consistent growth in its render services business unit. Initially devised as a complementary service for visualization software customers, the service has expanded to several industries and user types, and in February, 2017 the number of professional renders provided surpassed 40,000. “Our render services team works with individual consumers, contractors, dealers and builders, and manufacturers on both the commercial and residential sides,” said Dan Dempsey, President and CEO of Chameleon Power. “We didn't anticipate the demand we have experienced, and we have been able to consistently provide 24-hour turnaround for the majority of the projects." 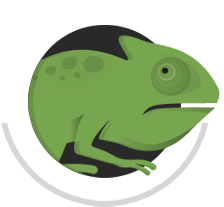 Chameleon's render services team uses proprietary Chameleon imaging tools to provide photo realistic outcomes for its customers.